This trail will start you off on dirt some rocks and roots passing the rest area. I like to go straight not left at the rest area. Next you come across the flat rock bluffs. Now you travel up the hillside facing some technical rocky sections. There is some areas to pick up speed. You will find some nice challenging stream crossing along the way. Now heading down the back side of the hill you get into the technical rocky part of the trail. This will take you back to the top front side of what I call Boulder Heights. You will ride over and through the large boulder formations. You are now on your way back to the trailhead. Don't miss the old bunker near the end of this trail. Now back to the trailhead you can enjoy the rest area. Review: Excellent trails. Challenging sections mixed with easier sections for recovery. I rode it with a 29 hardtail and had no problems. The trail is in an oak forest with alot off cool rock formations. Definatly one of the best in Kansas. Review: At Slaughter Pen we thought we'd seen the gnarliest trail; then the next day we hit Badger Creek. Wow. Just Wow. Review: Just 45 miles from the house the lanscape here is much different. Love the rock gardens. Try to ride this trail two or three times in the winter. The flat rock bluffs and the switch backs make this trail a lot of fun. There is a lot to see out here but don't get discouraged by all the rocks. Gear down and roll with it. This trail is in my top 5 close to home. Review: My favorite trail, ride it first and skip the South loop or ride the South first and add the north. Review: Really fun, and challenging track. The KSS guys really like their rock gardens. Review: Made the 2 hour drive over to check this out Sunday. I enjoyed it, had everything I like in a trail, creek crossings, switchbacks, some short fast downhills, roots to navigate and rock gardens, when they get the 2 loops connected it would be a great trail, I don't really agree with one being intermediate and the other a black diamond, I thought they were about even. Bike handling skills will definitely help on this trail. Review: Nice trail. A tad overgrown in spots. Lots of fun areas to test yourself. Review: A wide variety of flow, technical and switchbacks. Lots of rock gardens and some fairly easy creek crossings. Definitely worth checking out if you are in the area. Review: Excellent trail with a wide variety of terrain. 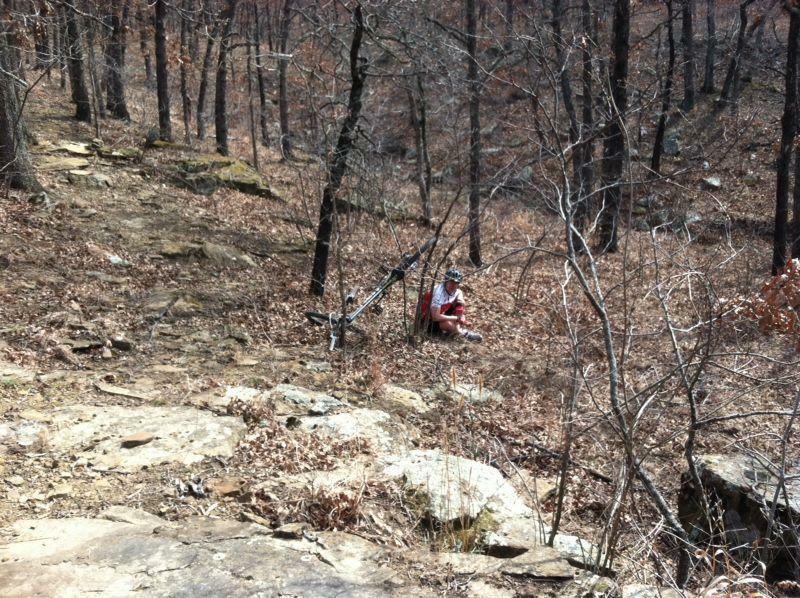 Not much in the way of fast sections, but nice rock gardens, a few switchbacks and several small obstacles. This is a great trail for taking the next step toward something slightly more aggressive than Air Cap, but still rideable by most skill levels. Be careful choosing your line so as to not go off the side of the trail. The leaves are very soft just off the edge of the trail. Review: This trail is on the northeast side of the Fall River Lake. You will face some nice technical inclines and downhill challenges. 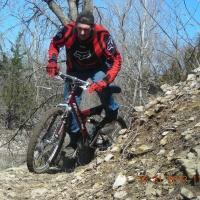 You will ride the flat rock bluff tops and cross rocky creek beds. On top of the hill you will find yourself riding through large boulders. The change in terrain is fantastic and gives a great workout. Hats off to the Kansas Trail Council for laying this one out. Hope to see some of you singletrackers out on the trail. Badger Creek North Trail MTB Trail 4.60 out of 5 based on 10 ratings. 10 user reviews.